Veteran Nollywood actress, Uche Jombo seems to have become a major proponent of the ‘made in aba’ or should we say ‘Buy Naija’ mantra. 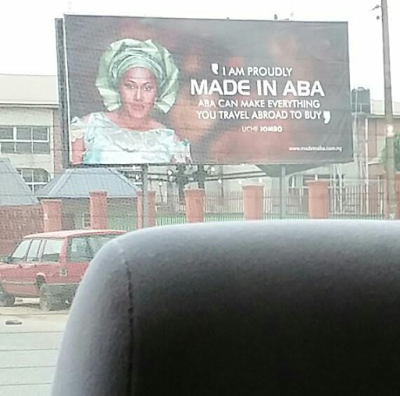 Going by the number of billboards in Abia State that carries her name and a strong message for those going abroad to buy things that are produced in Aba as well, we can safely say that she has become an ambassador for the state or the message. Feeler from her camp is that she is currently working on a project with the Abia State government and the project will be made public very soon. She has however become the brand ambassador for the ‘Made In Aba’ mantra and helping to galvanise people to patronise products from the creative city. Uche Jombo is a top Nollywood actor who has acted in over a 100 films and produced over 20 of her own as well. 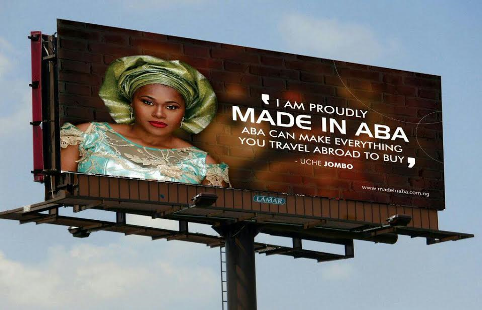 Nollywood actress, Uche Jombo seems to have become a major proponent of the ‘made in aba’ or should we say ‘Buy Naija’ mantra.